Grade. A boy must be in the first through fifth grade (or be 7, 8, 9, or 10 years old). Parental consent. A boy must have the written consent of his parent or guardian. Registration. A boy may register with the pack of his choice by paying the national registration fee. Application form. A boy and his parent complete the Youth Application. They agree to attend den and pack meetings regularly and the boy promises to do his best to be a good Cub Scout. Health information form. The parent completes the Annual Health and Medical Record (Parts A and B) and gives it to the unit leader (the link will take you to a PDF that you can fill out online and save to your computer and/or print). Take part in other den and pack activities. Assist den and pack leaders. Scout families may pay additional fees for Den activities and supplies and also for Pack activities such as campouts, field trips, Pinewood Derbies, and our annual Blue & Gold Banquet. These costs may vary and are determined by the pack budget, popcorn sales, and other fundraising successes. 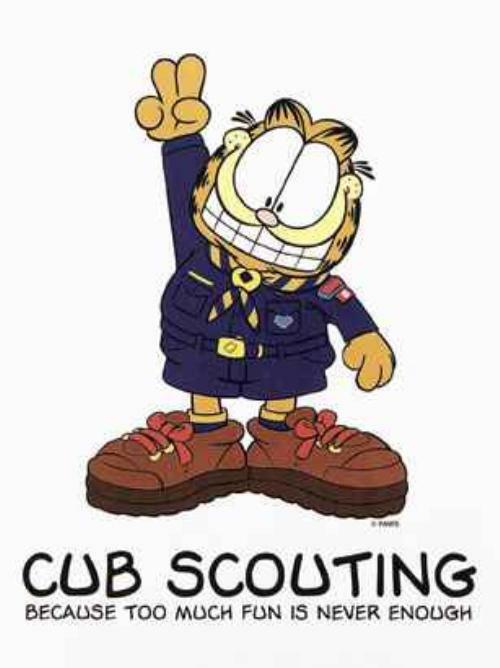 If you have questions about completing the application, or about the Cub Scout Program, please send them to us by selecting the "Contact Our Pack" link above. You may also leave your phone number to receive a call from the Cubmaster or Committee Chair. There may be limited scholarship money available for those who may need help covering a portion of the cost of Scouting. Please contact us for more information. *New Tiger Cub fees are $17.00 which includes insurance for the Tiger Cub and adult partner. Add $1.00 to the prorated BSA fees above for the adult partner insurance fee.